Summit Entertainment has found an appropriate talent to face off against Taron Egerton’s Robin Hood. Variety reports that Ben Mendelsohn, who can be seen in a galaxy far, far away in this Friday’s Rogue One: A Star Wars Story, will play the Sheriff of Nottingham in director Otto Bathurst‘s upcoming Robin Hood: Origins. In Robin Hood: Origins, a war-hardened Crusader and a Moorish commander mount an audacious revolt against the corrupt English crown. Packed with gritty battlefield exploits, mind-blowing fight choreography, and a timeless romance, Robin Hood offers a never before seen story of how Robin Hood became the icon and legend as we know him today. The Robin Hood cast also includes Jamie Foxx (Django Unchained, Ray) as Little John, Jamie Dornan (Fifty Shades of Grey) as Will Scarlet (a member of the Merry Men), Eve Hewson (Bridge of Spies) as Maid Marion, and Paul Anderson in an undisclosed role. Featuring a screenplay by Joby Harold, Robin Hood: Origins is produced by Leonardo DiCaprio, Jennifer Davisson Killoran, Basil Iwanyk, Tory Tunnell and Joby Harold. Look for it to hit regular theaters and IMAX March 23, 2018. While Mendelsohn can be seen this Friday as the villainous Director Orson Krennic in Gareth Edwards’ Rogue One, Egerton himself is part of the ensemble voice talent of next week’s Illumination Entertainment animated adventure Sing. Check back soon for our interview with the Kingsman star. 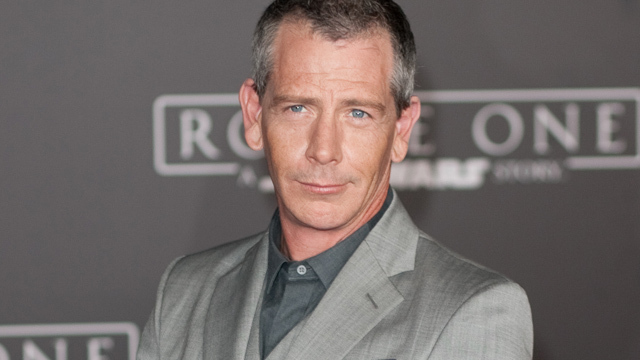 What do you think of Ben Mendelsohn playing the Sheriff of Nottingham? Is there anyone else you’d like to see join the film’s cast? Share your thoughts in the comments below!